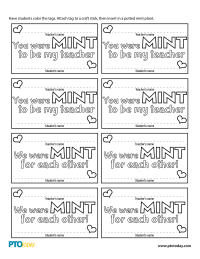 Cute tags that say “You were MINT to be my teacher” and “We were MINT for each other” that kids can color or decorate and attach to a mint plant for their teacher or parent. 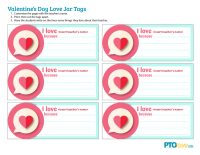 Teachers will love the personal touch of these cute, printable “I love...” notes from their students. For a sweet gift, adults can collect the notes in a pretty jar or box. 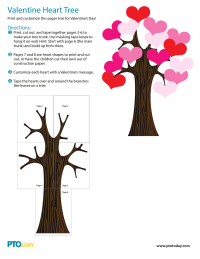 Colorful, customizable paper tree and hearts to build a sweet "love" tree. Have children write messages of appreciation on the hearts and glue them to the tree trunk. 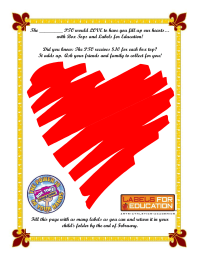 A box top/labels for education collection sheet to fill our hearts in February. 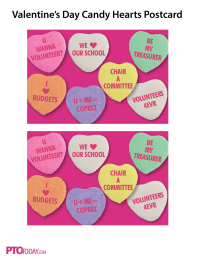 Use this cute sign-up sheet to help secure donations and volunteers for a Valentine's Day party. 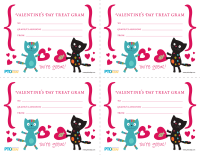 Fun Valentine candygrams guaranteed to bring holiday smiles. 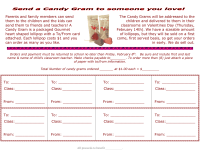 Fun and festive holiday candygrams that print four to a sheet. 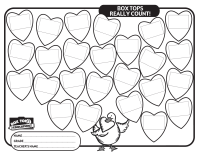 A 25 count collection sheet made up of different Valentine's Day pics. A word document that you can edit to suit your needs. 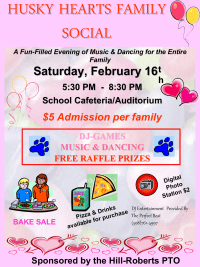 Valentine's Family Social event flyer. This is a MS Word document formatted for color printing in landscape orientation but can be printed in b&w.